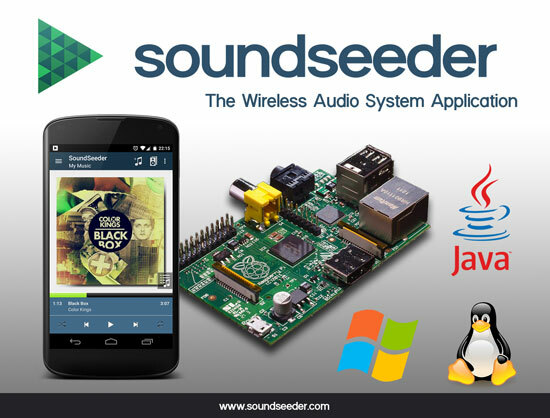 Use Windows or Linux PC as wireless Smartphone Speaker - soundseeder.com | Play music simultaneously on multiple devices. 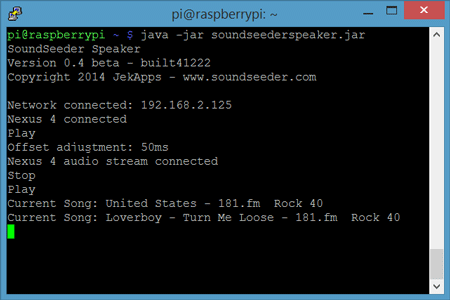 Today we have released the first version of our Java-based SoundSeeder Speaker Application. 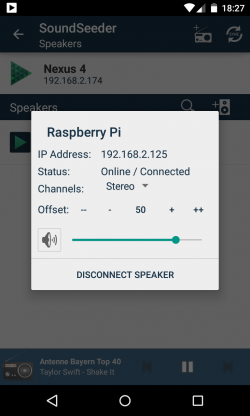 Now you can connect your Windows and Linux PC as wireless Speaker to your Android Smartphone! The application also supports the Raspberry Pi and other x86 or ARM based single-board computers with available JavaSE Runtime. This offers you a cheap and simple solution to build a wireless multiroom home audio system. You can find the Speaker Application in the Download Section. It requires a JavaSE Runtime Environment 1.6 or higher and a WiFi connection to your SoundSeeder Player of course. More information are available in our FAQs. If you need support or want to give us some feedback, visit our new Support Forum.